Station at the Four Holy Crowned Martyrs. 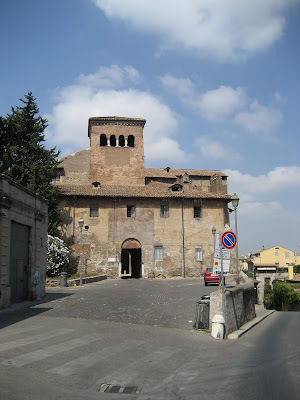 First Day of Lent in Rome in the third century. is mentioned in a document of the time of St. Gregory the Great (A.D. 590-604). and finally restored under Martin V (1417-1431). were elected to the Papacy in this church. and cruelly scourged to death. for refusing to make a statue of Aesculapius. their bodies are enshrined in two urns of porphyry and serpentine. The head of St. Sebastian is also kept here. 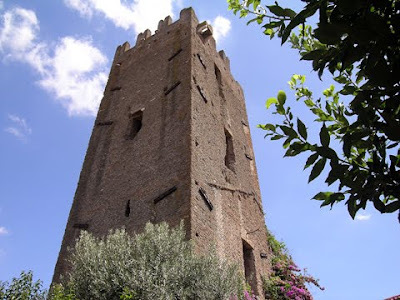 Roman Tower of the Basilica of the Four Crowned Martyrs. which continue from now to Easter. or their Gospels were added at a later date. The Offertory is that of the First Sunday after the Epiphany. was to dominate the whole Mass. both in body and in mind.